Julian H Robertson III, known as Jay Robertson, is, as the III suggests, descended from a long line of Julians. Yet for a man from a multi-billion dollar dynasty he has a wonderfully down to earth approach. 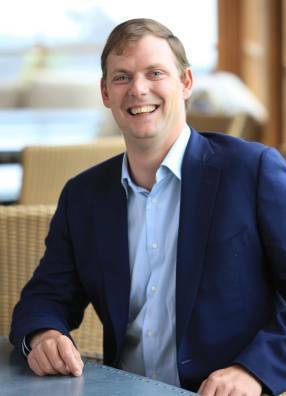 He is MD of three of the most luxurious lodges in New Zealand created by his father, US uber-fund manager Julian Robertson and his design-savvy mother, the late Josephine Tucker Robertson. Jay now has the reins and the newest lodge of the holy trinity, Matakauri, is really the brainchild of Jay and his wife Claire. The warm and welcoming Jay Robertson is a TLTB favourite, someone with his feet firmly on the ground. Yet behind the easy-going manner there is also a relentless devotion to excellence; an iron fist in a NZ lambskin glove. It is a winning combination which filters down to his friendly but ultra-efficient staff. What inspired you to get into the hospitality business and join the 'family firm'? In high school we were all encouraged to take an occupational test, and the results showed that I should get into Hotel/Restaurant Management. Later I learned that I genuinely enjoyed meeting people and sharing our special places. What is the single best/defining thing about the three luxury lodges you run? The team. We are fortunate to have a group of people who are not only committed to the industry and to our family but to ensuring that every guest has the best possible experience while they are staying with us. 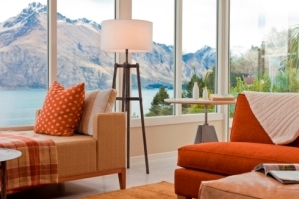 Matakauri Lodge has in many ways been your 'baby' tell us what you love most about it? 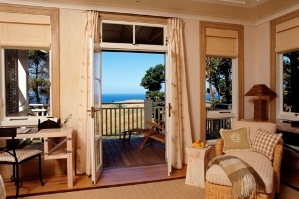 Kauri Cliffs was created before I was involved with hotels or New Zealand. Cape Kidnappers I was fortunate enough to work alongside my mother. At Matakauri my wife and I were given the opportunity to direct the entire project. It has been a wonderful feeling for both of us to open the lodge. I don't know if it is new but, I would consider 'last minute' to be the wave of the future. With recent events and the way in which the world is changing people still want things however they do not want to plan for them. What is your own personal litmus test for whether a lodge is worthy of the 'luxury' tag? Service to me differentiates luxury to just a lodge. Wakaya Resort and Spa in Fiji. My wife Claire and I spent our honeymoon there this year. The food, service and overall facility was unbelievable. It was so refreshing to go to a place that so many people have raved to us about and be absolutely blown away by the commitment the owners and staff have to the product. New York because it is home and the greatest city on earth! Spice Temple Sydney. Having worked with Neil (Perry) on projects I know his commitment to excellence but the meal blew me away. Air New Zealand. They are innovators and have created such great product. I travel back and forth to the USA and the flights with Air New Zealand I actually look forward to. The small touches like knowing your name, handing out candy on descent. Flying from London to New York. Arriving from a connecting flight 2 hours prior and being told that I was downgraded from Business to Economy even though it was a full fare ticket. Experiences and memories - you have to make those.